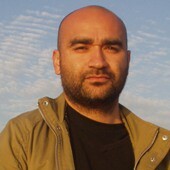 I am an Associate Professor of the Universidad de Valparaíso (UV) and member of the research center CIMFAV. Since december 2011, I am attached to the Faculty of Engineering of the UV. In late 2006, I obtained my PhD in Statistics from the University Paris-Sud Orsay under the supervision of Marc Lavielle (Université Paris Descartes, INRIA) and Jean-Louis Foulley (INRA, Jouy-en-Josas). My research interests are in Mixed Models, EM-type algorithms, REML estimation, MCMC methods and applications in biometrics. For more details, you can see my resume here. General Cruz 222 – Valparaíso, Chile.